New phones are being introduced into the market every day. If you are an iPhone user, there might come a time when you may want to switch to an Android device for some reasons. It could be because you want to try the android OS experience, or you may have just found an Android device that you have fallen so in love with. 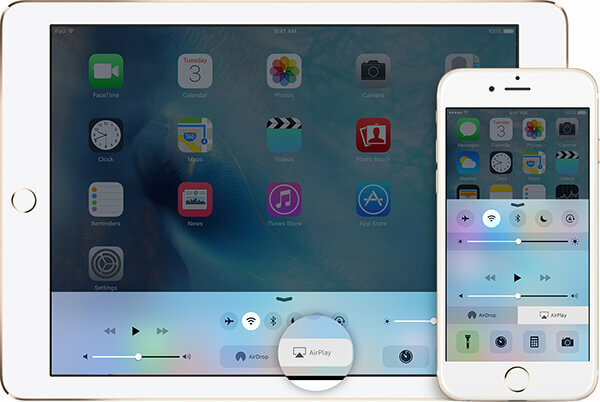 During this switch, one of the questions that you will probably have on your mind is whether to retain the contacts on your iPhone or transfer them to the new device. If you choose to transfer the contacts, you will need to look for an easy way of doing so. The traditional way of manually typing in the new phone countless names and numbers can be very exhausting and time consuming, so you will need to find the best app to help you transfer contacts to the new device without losing them. This article will introduce top five free iPhone to Android contacts transfer apps. 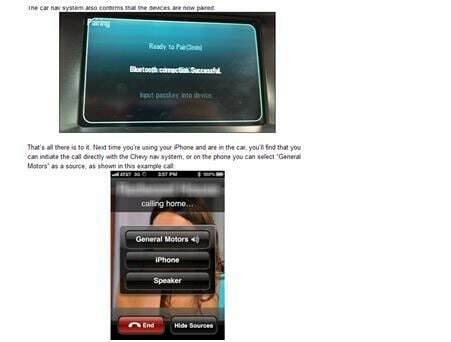 There are various applications that you can use for iPhone to Android contacts transfer. The following are some of the best ones. 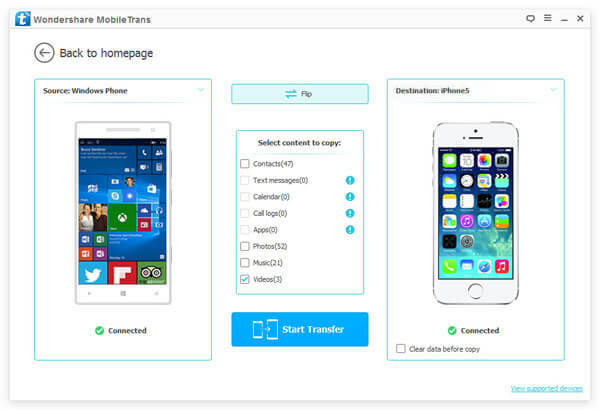 This is an easy to use phone transfer tool that is designed to help you transfer not only contacts, but also messages, apps, call logs, videos, photos, and music between iPhone and Android devices. So if you switch from an iPhone to an Android device, you will not need to worry about anything when you have this app. 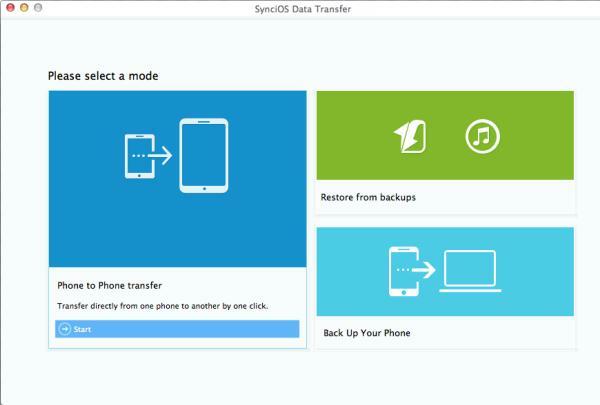 Besides being a reliable phone transfer tool, it is also a backup tool that you can use to backup phone data on your computer safely and securely. 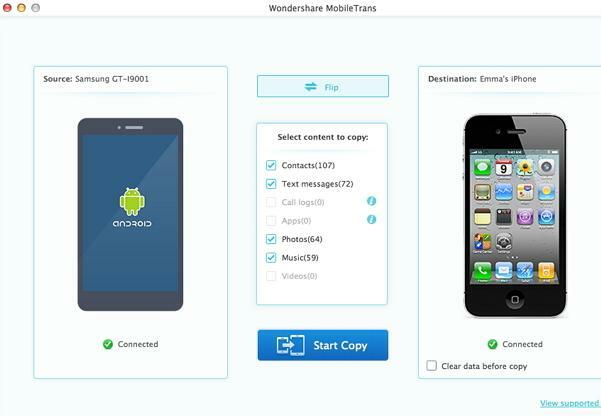 Mobile Trans can transfer contacts, media files, call logs, and other forms of data from the iPhone to an Android device in a single click. You can also use it to back up your smartphone data to your computer with absolute ease should the need for restoring ever come up. It is functional, accessible, and supports a wide range of major operating systems. So if your phone company does not help you transfer contacts when you are switching to a new phone, all you will need to do is get this app. It will not disappoint you. This is another application that you can use for iPhone contacts to android transfer with ease. Apart from transferring contacts, you can also use it to transfer music, messages, call logs, apps, videos, notes eBooks, bookmarks and more between your iPhone and android device. 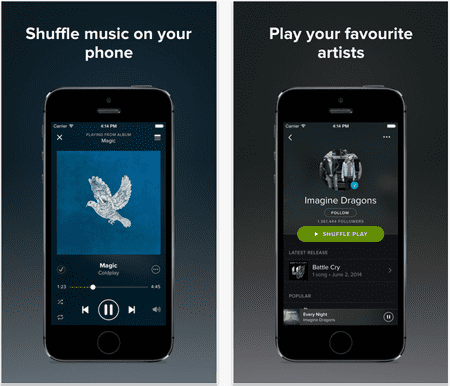 It also allows you to backup phone data to a computer and restore it in lossless quality. Another way that you can make use of SynciOS Data Transfer is transferring songs and playlists from iTunes library to your mobile phone. It is compatible with many mobile devices. Not only does this application allow you to transfer contacts from iPhone to Android with ease, but it also allows you to back up your phone data just in case you lose, damage or break your phone. DataPilot will also enable you to stay in sync with Outlook and Palm Desktop contacts. Other things that you can use this application for include creating one-of-a-kind ringtones, pictures and wallpapers and transferring them free of charge to other devices or the internet using a USB cable. Adding, editing and deleting contact information will be absolutely easier with it. 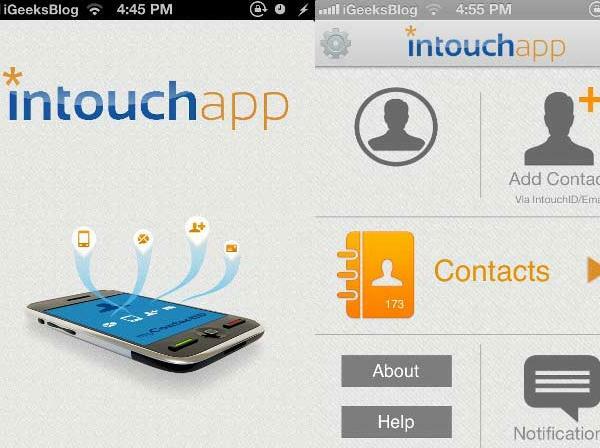 InTouchApp Contacts Manager offers a smart way to manage contacts. You can use it to backup, sync and transfer your contacts from an iPhone to an android device with ease. You will never worry about your contacts again when you have this application because they will be updated automatically. It gets latest information about your contacts and updates it directly. Exchanging contact information with people will also be very easy when you have this application. It allows instant transfer of contacts to a new device.